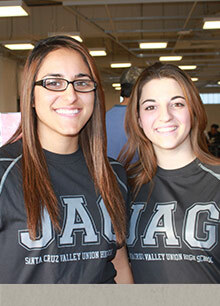 JAG stands for Jobs for Arizona’s Graduates. 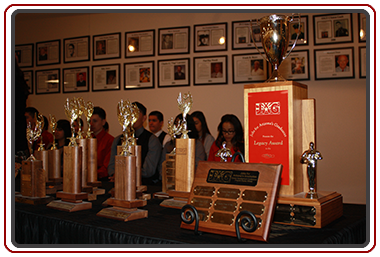 JAG is a program which is to help students succeed in school, graduate from high school, and make a successful transition to the world of work and/or post secondary education. 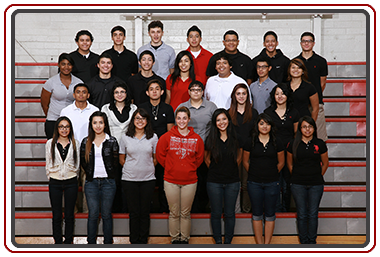 JAG is a full credit elective class students attend. In class, students master employability and personal development competencies. The curriculum is divided into six categories: Career Development, Job Attainment, Job Survival, Basic Skills, Teamwork and Leadership, and Personal Development. In the JAG curriculum students determine who they are; what they have to improve upon; where they wish to go in life; how to get there; and how to succeed at work, school, and in life. Maturity, teamwork, effectively getting along with others, time management, goal and decision making, resumés, interviewing techniques, commitment, and selecting and living a positive lifestyle are just some of the topics JAG covers. 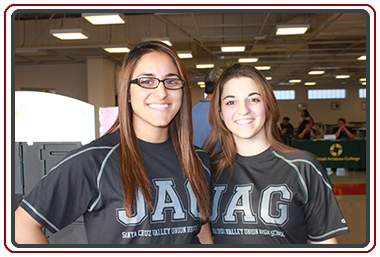 As part of the JAG program, all students become members of the Career Association. 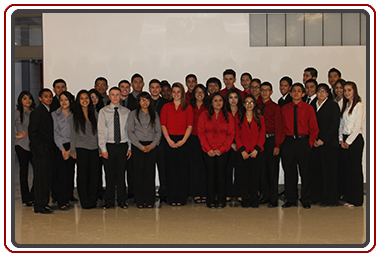 The Career Association is a student-led organization, and all JAG members are required to participate in the organization’s activities. With the exception of two events, the Initiation and Installation Ceremony and the Career Development Conference, all events and activities are determined, planned, and organized by the students. The class creates a Program of Work, which includes two events or activities in each of the following categories: Leadership, Career Development, Social Awareness, and Service Learning. 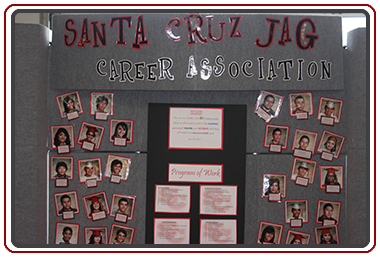 Through the Career Association, students apply the planning, organizing, commitment, and people skills they learn in JAG. 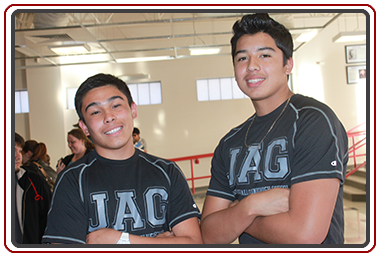 JAG provides youth with a reason come to school, a mentor and supporter, a boost of confidence, an opportunity to give back to their communities, and a glimpse into their own bright futures.